Japanese tea, Chinese tea, Black tea, Chai, Herb tea. In this world, there are countless cultures that celebrate a cup of tea. History and tradition. Despite all odds, this culture thrives. We continue to love and cherish the healing cup, this has existed and continues to exist. So drink up. There exists a plethora of ways to drink and to enjoy tea. Take up your cup of tea, and forget the day, and return to peace. 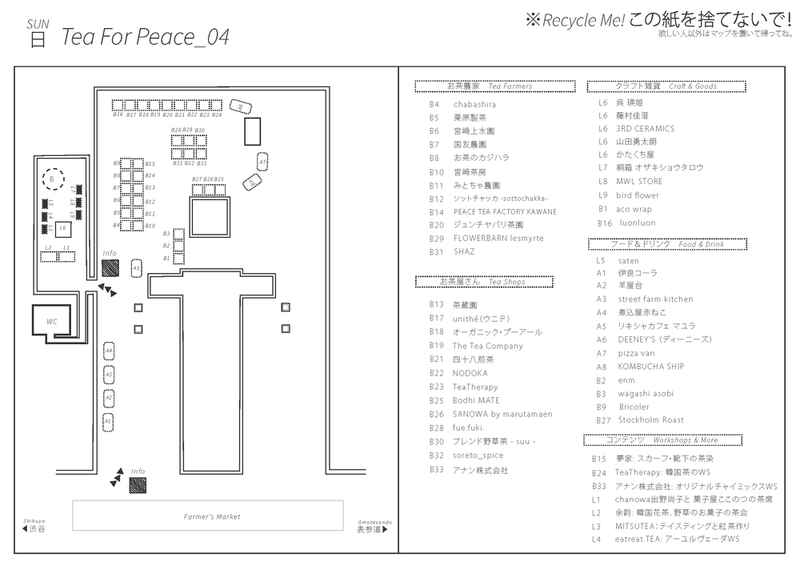 “Tea For Peace” an event in Tokyo, Japan that celebrates tea, starting in March 2018. Tea has a history spanning centuries, and the love for this drink has the power to overcome any borders, even today’s borders. Get away from the noise of the everyday, and find some peace in the time you make for yourself, and a cup of tea. To us, this time is very dear. With this event, our aim is to spread the culture of enjoying tea, however you’d like. When choosing tea, how do you decide what’s good? If a tea has won many awards, does it make it the best? Asking ourselves this, we’ve decided to challenge ourselves with “Flavor Mapping” all the teas in this coming event. There’s no one right answer. We asked all kinds of people, professionals working outside of the tea world, for their feedback. And based on the gathered information, we’ve developed a map that will work as a guide for you on your tea-drinking experience. We believe that experiencing good taste is completely free, completely subjective. Like humans, and like color, a world with more differences is a world that is more exciting and more beautiful. Visualizing flavor with “color”, we invite you to try picking tea freely based on your senses. 10min by foot from Shibuya Sta. 5min by foot from Omotesando Sta. 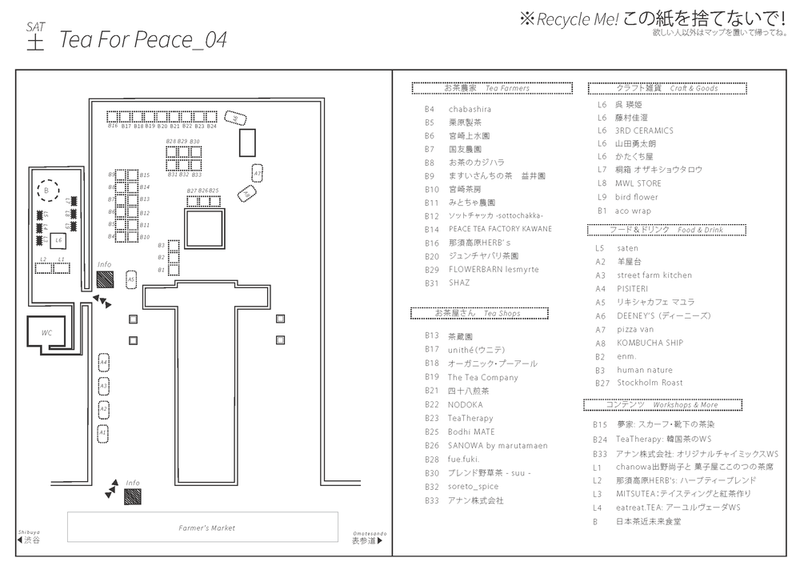 *「Tea For Peace」は株式会社サザビーリーグが商標登録を申請中です。 *The trademark rights of「Tea for Peace」belong to SAZABY LEAGUE, Ltd who are not associated to this event.